In my last post, I discussed what factors were involved in determining whether or not an RTO (rent-to-own) arrangement should be considered as a business or capital in nature. I also mentioned that the 3 streams of income the landlord receives in an RTO arrangement should be reported as income if it is considered as a business. In this post, I am going to discuss the treatment of these 3 streams of income if the RTO arrangement is to be considered capital in nature. Depending on how the arrangement has been written, if the non-refundable downpayment is used to pay for the option to purchase the house at the end of the 2 or 3 year term, the Income Tax Act (ITA) allows the taxpayer to report the downpayment as capital gain the year he receives the money. If the agreement does not specify this amount is for the purpose of purchasing the option and because it is non-refundable, the investor is required to report it as income. However, in most rent-to-own option agreements I’ve worked on it clearly specifies that the downpayment is used to pay for the option. It’s most likely, the investor can report it as the capital gain in the year he receives it. For the monthly rent component, similar to any rental income, the investor has to report it as income the year he receives it. As for the rent credit, the tax treatment depends on how your agreement is written. If it is written in a way that the rent credit is used to maintain the option to purchase the house at the end of the 2 or 3 year term, similar to the downpayment, the rent credit can then be reported as capital gain the year the investor receives it. I had a discussion with some rent-to-own experts about this rent credit reporting treatment. One concern that was raised was if the agreements clearly specified the rent credit is for the maintenance of the purchasing option at the end, such agreement may not be able to stand the ruling at the Landlord Tenant Board in case the tenant/buyer defaults their rent. Most importantly, the amount of rent credit collected on an annual basis is small. The corresponding tax liability is also low in comparison. If the tenant/buyer does not exercise the option at the end of the 2 or 3 year term, and all the reporting has been done properly then the landlord investor has nothing to worry about. For the years that the landlord investor reports capital gain on the downpayment and rent credit, amended return needs to be filed to reduce the capital gain. For the current year, the landlord investor adds the downpayment and the rent credit (received in prior years) to the proceeds and reports the cost of the house accordingly to calculate the capital gain. That’s really all you need to know about Rent-to-Own taxation. You should now be able to tell if your RTO arrangement is a business or capital in nature, and know how to report the 3 streams of income you receive during the RTO period when you have to file your taxes. If you have any other questions about RTO taxation, or maybe you still feel a little confused, feel free to reach out to me here and my contact page and I’ll get in touch with you. This post is really important. It’s basically the whole reason why I started this blog. You see, I’ve been doing accounting work for many years now, and have spent quite a bit of time involved with real estate as well. 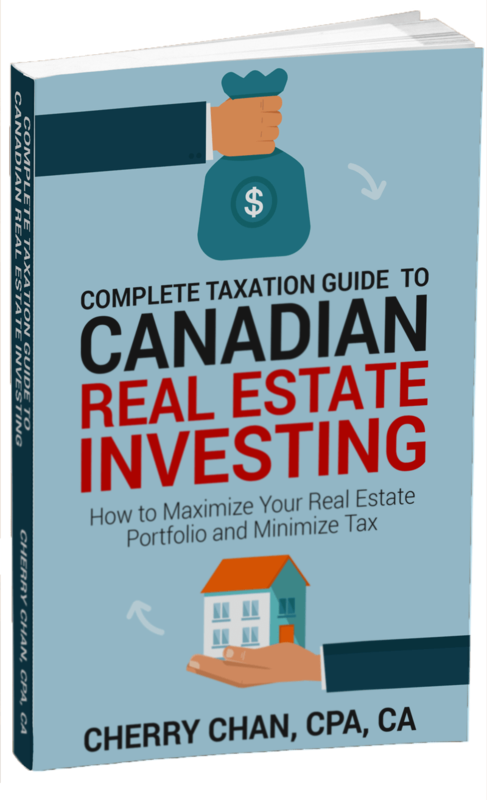 One thing I’ve noticed over the years is the amount of confusion people have when it comes to rent to own real estate investing and taxation. So I’m going to clear it all up for you by breaking the information down into 2 parts that’s easy to understand. As I mentioned in my last post, there are 3 streams of income an investor can acquire when investing in real estate. And how you would report those incomes depends on the landlord’s personal circumstances. Firstly, we must determine if the landlord is operating this rent-to-own as an investment or as a business. If the rent-to-own transaction is considered as a business, the 3 streams of income are all required to be reported as income. The Canada Revenue Agency (CRA) uses the following factors to determine whether the rent-to-own transaction is capital in nature (an investment) or a business. Is the rent to own transaction similar to the landlord’s normal course of business? If the landlord is a full-time landlord that does not have any other employment income, the rent-to-own transaction is more likely to be treated as the landlord’s normal course of business. On the other hand, if the landlord has a full-time job, it is more difficult to CRA to argue that the rent-to-own is similar to the landlord’s normal course of business. *Be cautioned that one single factor cannot be relied upon to conclude that the rent-to-own transaction is not considered as a business. How frequently does the landlord invest in rent-to-own deals? The more rent-to-own deals the landlord has, the more likely that CRA considers it as business. Is this rent-to-own transaction an adventure or concern in the nature of trade? An adventure or concern in the nature of trade is something a landlord habitually does that is capable of producing a profit, irrespective of the landlord’s own occupation. Whether the landlord dealt with the property acquired by him in the same way as a dealer in such property? If there is evidence of effort, such as advertising, were soon made to find or attract purchasers or that a sale took place within a short period of time, it is more likely CRA considers the landlord as a dealer. The more renovation or extra steps that the landlord does to increase the marketability of the rent-to-own property, the more likely CRA considers him as a dealer. If the landlord is a real estate agent or mortgage agent that has a commercial background in a similar business, the more likely CRA considers him as a dealer. Whether the nature and quantity of the property excludes the possibility of generating income from the property other than selling it. In the rent-to-own situation, the nature of the property allows the landlord to rent it out to the tenants and hence supporting the transaction as capital in nature (an investment). The landlord’s intention to sell the property at a profit alone cannot be used by itself to determine whether he was involved in the adventure or concern in the nature of trade. If one of the other above factors clearly shows that the landlord is engaged in the adventure or concern in the nature of trade, his intention can be viewed as corroborative evidence. The investor’s intention can change over the period of time and can have more than one intention. If the investor’s intention is to hold the rent-to-own investment as an investment (capital in nature), CRA also looks at the secondary intention if the investor is unable to fulfill the first intention. I know some of that “legal talk” can be confusing but you should now be able to tell if your rent-to-own transaction will be considered as an investment or as a business. Like I mention above, if it is considered business in nature, the investor is required to report the downpayment as income the year he receives it. He is also required to report the rent, and the rent credit, as income the years he receives those. Ultimately, he is also required to report the sale of the property, if the tenant chooses to exercise the option, as income the year the option agreement ends. For part 2 of this blog post I will discuss how to report your rent-to-own transaction to the CRA when is an investment, instead of the business. Be sure to check back next week for that post. Lastly, If you are not sure whether your rent-to-own investment is considered a business or capital in nature, I can help you to go through your circumstances and make an informed decision. Just head over to my contact page and send me a message and I’ll get back to you. This year marks the 15th anniversary of my time spent living in Canada. I wake up every morning feeling grateful to live here in an established economy with freedom. Thinking back home to Hong Kong, where the housing market is so outrageous, I would not be able to afford a property to live in. Let alone have the opportunity to invest in properties, like I do here in Canada. In fact, I would have made a good candidate for a rent-to-own program back in Hong Kong. But thankfully things are different here in Canada. As Canadian real estate investors, we get the privilege to help other Canadians find an affordable and manageable means to home ownership. In a typical rent-to-own situation, there is usually two parties involved; the investor or landlord, and the tenant/buyer. Usually the buyer doesn’t have enough money for a downpayment or high enough credit score to finance the purchase of a home. This is why the buyer enters into an agreement with the landlord with the option to own the property at the end of the program. Most agreements are within 2-3 years but they can be longer, and at the end, the property is purchased at a pre-specified price while the tenant lives in it. This is why they’re referred to as tenant/buyers. The tenant/buyer is required to give a downpayment to obtain the right to purchase the home. The downpayment will be offset against the purchase price when the tenant/buyer exercises the option. On a monthly basis, the tenant pays the investor/landlord rent, plus an additional amount that goes towards the purchase price of the property at the end of the program. *The combination of the downpayment and the monthly amount usually add up to 5% at the end of the program. By the end of the 2-3 year period, if the tenant/buyer’s credit score is good enough to qualify for a mortgage and decides to exercise the option to purchase the home, the landlord receives the pre-specified purchase price, less any of the downpayment and monthly amounts received over the course of the rental period. These are the 3 streams of passive income an investor can receive from a rent-to-own program. You can probably see how such agreements can benefit both parties. the tenant/buyer gets to purchase the property at the end of the rental period and achieve their goal of home ownership, while the investor profits from 3 streams of income. Rent-to-own programs are just another example of the opportunities available to people and families living in Canada and why this is such a great country to call home. Most real estate investors talk about monthly cash flow from their properties. Few recognize the tax impact on their cash flow. We own a few student rentals. Each house brings in about $500 to $1,000 before tax cash flow on a monthly basis. This is equivalent to $6,000 to $12,000 of before tax cash flow on an annual basis.Mortgage pay down of each house is roughly $3,000 a year. The combined taxable income from each house is $9,000 to $15,000 a year. Our marginal tax rate for the rental income is roughly 40%. Once you take into account the tax impact, your monthly cash flow immediately drops to $200 to $600, from $500 to $1000 on each house. What if there is a simple tax strategy you can use to defer a large portion of this tax until when you sell the property? Capital cost allowance (CCA) is the depreciation expense on depreciable property that you can claim against your taxable income. Building is generally the largest depreciable property you can claim CCA to offset your rental income. First year, you can claim 4% with half year rule = $225,000 x 4% x 1⁄2 = $4,500. Second year, you can claim full 4% on declining balance basis = ($225,000 – $4,500) * 4% = $8,820. Taxable income of a student rental that brings in $500 a month with mortgage paydown of $3,000 annually before deducting CCA is $9,000, equivalent to $3,600 tax payable. After deducting CCA, first year taxable income is $4,500, equivalent to $1,800 tax payable at 40% marginal tax rate and $350 after tax cash flow. Second year taxable income is $120 ($9,000 – $8,820), equivalent to $48 tax payable and $496 after tax cash flow. Just like that, your cash flow is almost the same before paying tax! This is a tax deferral mechanism. And yes, you will still have to pay tax at the time when you dispose the property. But don’t forget, there is time value of money as well! Money in your pocket today is worth more than the same money in your pocket tomorrow. Say you own the above property for 10 years and you plan to dispose this property at the tenth year – By adopting the above strategy for 10 years, you have deferred $69K tax over the years. $69K over 10 years with 2% inflation is equivalent to $63K in today’s money. At 40% tax rate, you are saving $2,600 in time value of money. This doesn’t even take into account what you could have used this $69K to do! This can be the downpayment of another rent-to-own!